Discover a place where locals can connect and share common interests, a reinvigorated community hub that provides a welcoming inclusive space for locals of all ages and walks of life. Meet in one of the stylish hireable community spaces where not-for profits can enjoy favourable rates and locals can get together for a celebration. Come visit our working urban farm, keep an eye on what’s growing, participate in workshops, take a Yoga class and learn how to garden more successfully. Stop by for family fun at our unique, interactive kids’ play space, or just relax on the lawn. 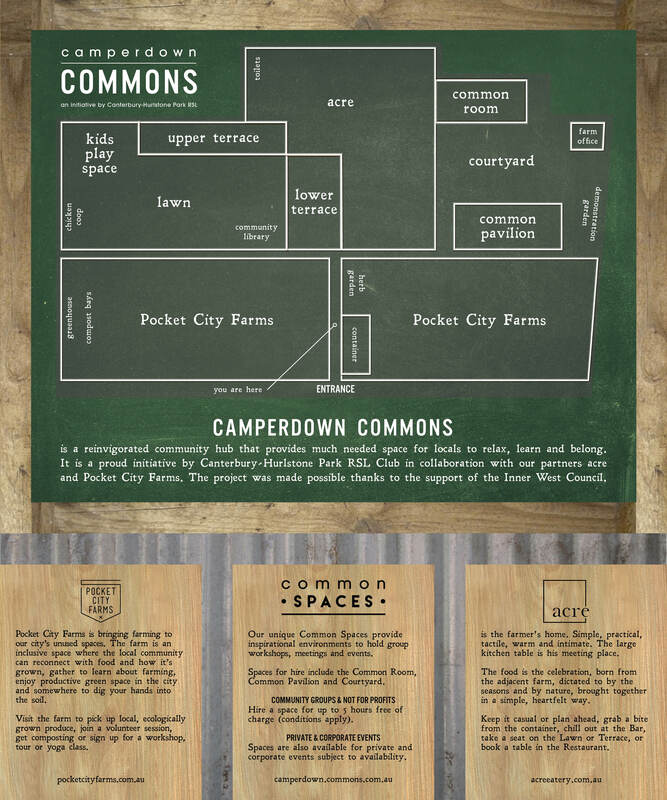 Camperdown Commons is located at 31a Mallett St Camperdown, between Camperdown Park and Piddock St, just 4km from Sydney’s CBD. There’s plenty of bike parking out the front on the verge where you can lock up your bike. Consider grabbing an Uber, or sharing a ride. For parking, try Secure Parking at Royal Prince Alfred Medical Centre. The vision - which was refined through extensive community consultation - provides valuable low-rise facilities, and much-needed green space and recreation for our neighbours and guests. This approach was made possible thanks to support for our vision from Inner West Council, the custodian of this Crown land.